Since moving to South Florida, I’ve been exposed to a number of Latin American cuisines that I did not readily have access to when living in the Northeast. One of those cuisines, Peruvian, has quickly become one of my favorites. The cuisine of Peru is one of the most interesting in South America, as it merges traditions and ingredients of the indigenous peoples as well as immigrants from China and other places like Japan, Germany and Italy. While there are a number of good Peruvian restaurants in Broward County, there are none which I would consider examples of the finer or more upscale-dining restaurants that Cuban or Colombian cuisine have in this area, for example. 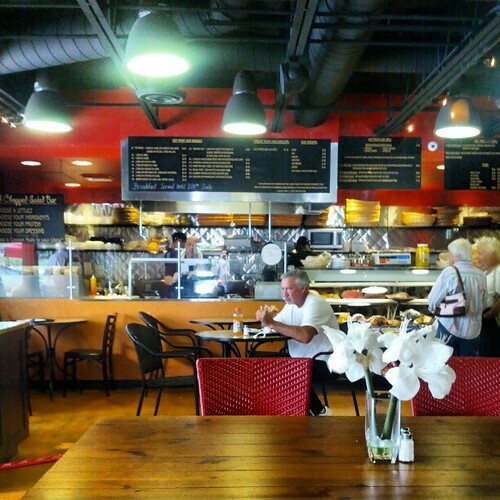 The newly re-opened Saxsay, in Tamarac (Formerly Sunrise) plans to change that. 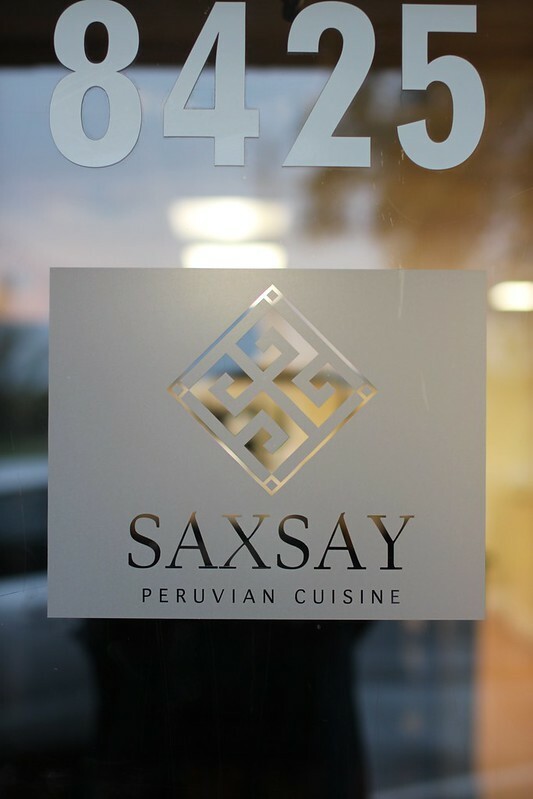 Peruvian food can be sophisticated, as Saxsay in Tamarac shows. Click on the “Read the rest of this entry” link below for more. 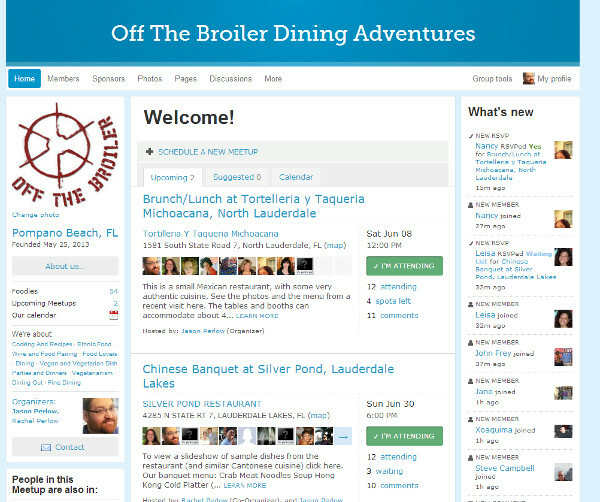 Broward Dining: How Do You Roll? 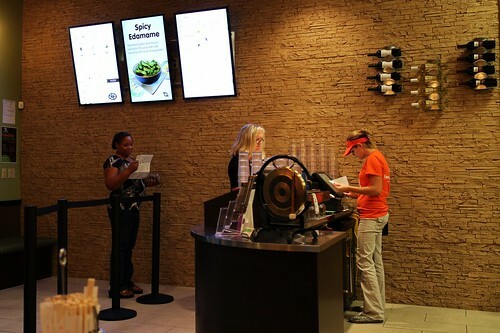 Quick Serve Restaurants, or QSR’s, are all the rage right now in casual dining. The trend of serving “faster, but higher quality” food items than what is served fast food establishments can largely be attributed to Chipotle, which is now a huge success story in the food and restaurant industry. Since Chipotle made it big, others are trying to figure out what the next big QSR concept is. A lot of stuff since has been various re-spins on the burger concept. 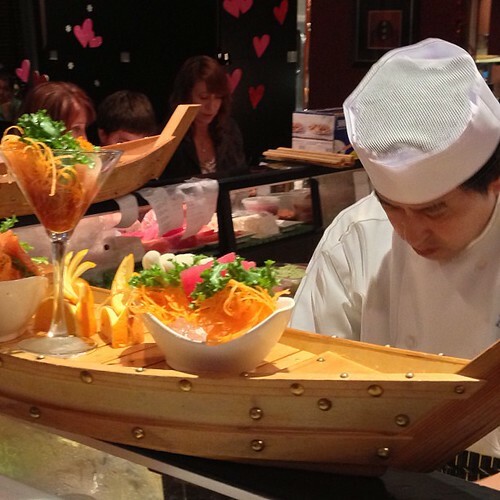 Asian cuisine, particularly sushi, is not something QSR as a whole has attempted to tackle yet, due to much higher sanitary standards as well as issues of keeping fish fresh. How Do You Roll, a QSR chain that originated in Texas (and was profiled on the TV show “Shark Tank“) is attempting to recreate Chipotle’s “Roll your own” model and success but with sushi and other Asian items. There are currently two locations in Florida, one in Sunrise and the other in Gainesville. Rachel and I had the opportunity to visit the Sunrise HDYR location on a torrentially rainy saturday night with a group of sushi fans from Meetup.com when business was slow, so we got a chance to observe the franchise under optimal conditions for photography but not necessarily to see how service would perform under busy conditions. As I mentioned, HDYR is a “Roll your own”, QSR restaurant where you pick from a list of ingredients and the sushi chefs put together your custom sushi roll, rice bowl or ramen soup. HDYR is most definitely a “beginners” sushi place because there are only 3 raw fish types you can choose from, Tuna (Maguro), Salmon, Escolar (a bland white fish, sometimes referred to as “White Tuna”), and “Spicy” variants of the same. Additional proteins that can be rolled are cooked Beef, Chicken, Crawfish Tails, Surimi (“Krab Sticks”), Shrimp, Eel and Tofu. There is also a nice variety of fruits, vegetables and a number of different sauces and toppings/condiments which allows for a good combination of things for the diner to create. Pre-designed roll combinations range from $3 to $7, so you’re looking at about half of what a mid-range sushi restaurant charges for similar items. Like at a Chipotle, or a sub shop chain, you order at the counter and they give you a number and you sit down. When your number is called you either go up to get your order, or depending how busy the place is, they bring it to you. The place was so completely dead that evening due to the weather that we got first class table service. Is How Do You Roll a fresh or a dead fish? Click on the “Read the rest of this entry” link below for more. I just want to note that despite recent appearances on this blog, I do not eat hamburgers and massive ice cream sundaes every day of the week, OK? Okay. So, a few weeks ago I found out that legendary Los Angeles foodie Chris Cognac was going to be visiting South Florida for a day prior to heading on a vacation cruise and then heading off to Orlando to engage in mouse-related stuff. Chris and I have known each other for over 10 years, as he was one of the very first folks to register on eGullet.com. But in that time, we never had a chance to meet each other in person. Given the hastiness of the information, we didn’t have a lot of time to plan an ideal get-together. It was further complicated by the fact there were wife and kids also in tow and we wanted a place pretty close to where they were staying. 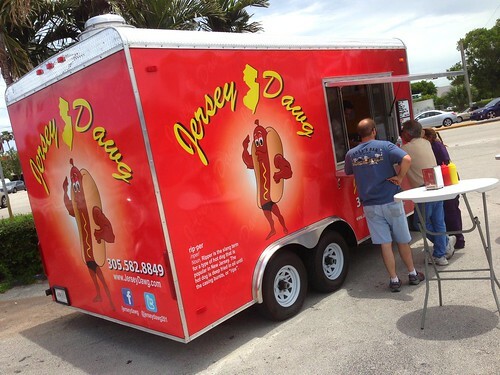 As it happened, their hotel near Fort Lauderdale International Airport was only minutes away from Jaxson’s in Dania Beach. Now, Jaxson’s is not necessarily a foodie outlet. In fact, I’d call it anything but that. Specifically, the place is known for ice cream. Massive, massive amounts of ice cream served in gigantic portions designed to give seven year olds nightmares and tummy aches. It’s the kind of place you go to when you are visiting your grandparents in Florida and they want to take you out — for ice cream. In fact, virtually all of the visits to Jaxson’s in my entire life span were with Jack and Sylvia Perlow, when I came to visit them during the 1970s and early 1980s when they were snowbirding in Hallandale. Dinners were usually early birds at Pumpernick’s, Morrison’s or some other South Florida institution catering to seniors that has long been history. And yet Jaxson’s remains — because it appeals to everyone. Despite the ice cream focus, Jaxson’s still serves a full menu, mostly dominated by sandwiches, burgers and comfort food types of things that you would see in a classic luncheonette. Except that everything is Jurassic Park sized. The place is also frequently a mob scene unless you get there right before the big lunch and dinner rushes. Literally there is a line a hundred or so people long right in front, and there’s no way you’re gonna wait any less than an hour to get in to get your ice cream unless you specifically use the take-out window outside. The photo below was taken right before noon on a saturday. By the time we had left, it was extremely busy and there was a wait to get in. 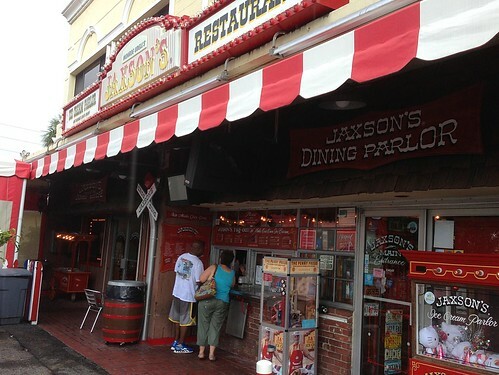 Jaxson’s is the place to be in South Florida for massive ice cream creations. Click on the “Read the rest of this entry” link below for more. If you’ve been watching my Twitter feed, you probably know by now that Rachel and I have arrived in the Sunshine State. It’s been a rough couple of weeks — not just because we decided to move to our new home during the brutal South Florida summer heat and humidity, but also because a number of logistical issues have prevented us from unpacking most of our belongings. We’ve been sleeping on a mattress on a floor in our family room and our bedrooms are currently being tiled. And all our new bedroom furniture is on order. I have only one of my computers working, which is propped up precariously on a folding table in the living room. And my Mac with my photo editing suite isn’t unpacked yet, so I’ve been doing all my food photography with Instagram on my Android phone. This and a pending swimming pool construction project is enough to drive you completely crazy. We’re roughing it, and we’re doing the best we can. At least I have my new Weber Genesis S-330 LP gas grill set up and running on the patio and we have cable TV and Internet. And oh yeah, the air conditioning is working flawlessly. Speaking of priorities, I have already begun the task of seeking out the things that are essential to the survival of a native New York/New Jersey expatriate: Decent Asian food, Pizza… and Bagels. Now, there’s no lack of bagels in South Florida. In fact, there’s probably a bagel store a five minute drive (or less) from everywhere in the town where we’ve settled, Coral Springs. Coral Springs is a huge sprawling town of over 120,000 people. If I were to compare it to a town in New Jersey, I’d say it was demographically similar to Paramus, but it’s laid out in a grid form, with six times the population, with all of the commercial and residential zoning laid out in distinct squares, and none of the two mix. It’s like someone who was a fan of the original SimCity computer game decided to apply its simplistic urban planning methodology to reality, and stuff it full of strip malls and gated communities and landscape it with palm trees and lush tropical plants. I’m not complaining, I love my new environs. But clearly Toto, we’re not in Jersey anymore. Anyway, back to the bagels. There’s lots of bagels to be found, but none of them are legit. The problem with South Florida bagels is that because of the huge elderly and retiree population, they’ve been adapted to local tastes. That means making them softer in consistency. To do that, virtually every bagel store steams rather than boils the bagels before baking them. This makes the resulting product more like a roll than a bagel. Others have attributed the problem to the quality and mineral content of NYC water versus Florida water. I say horseshit. It’s all in the boiling and traditional preparation methods, especially once you put in a good water filter system. The difference in mineral content is going to slightly change the “terroir” of the bagel, but it will still end up a legit bagel. After doing a bit of research, I have found a legit bagel bakery in Coral Springs. It’s called Bagels & Whole Lot More, and it’s only a few months old. The owner is from New York, has imported his bagel making equipment from Long Island and filters his water with a reverse osmosis system. And he’s doing everything the right way. Bagels & Whole Lot More in Coral Springs, FL. Ready for real New York-style bagels in South Florida? Click on the “Read the rest of this entry link below” for more. You are currently browsing the archives for the Broward County category.